On the northern end of Öland lies Grankullaviken - a large bay which, through its protective location, inflow of brackish water, long vegetation period and shallow water, makes the Grankulla bay a high-producing reproductive area for nutrient organisms and houses a variety of fish species. Catching coarse sea trout is no coincidence. Pike ban 1 April - 31 May. 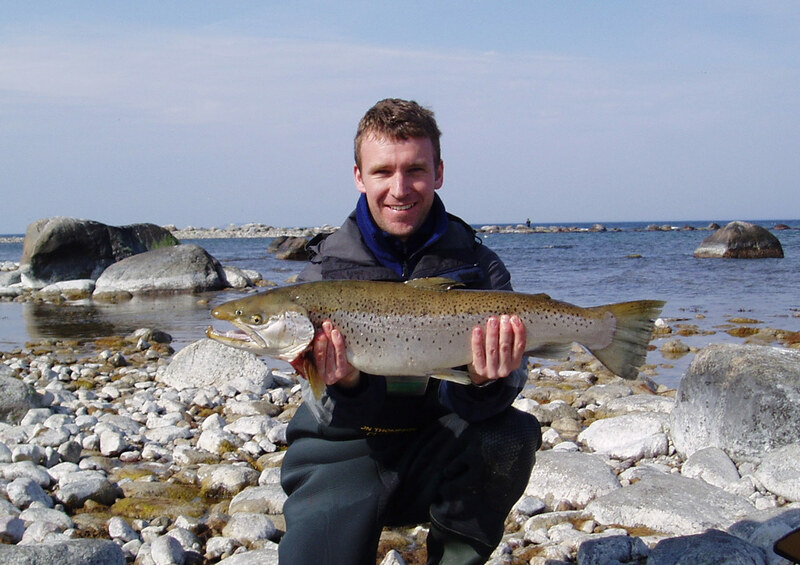 Grankullavik and Öland Angling Centre is situated in the northern part of Öland close to the south west shore of the Grankulla bay, 40 m from our own fishing waters. Grankullavik has an area of about 660 ha. At the opening of the bay towards the sea three small islands form a very good shelter from disturbing currents and hard winds. The depth of the bay is exceptional, most of the bay is only 1–3 m deep. Only the sailing channel between Nabbelund and the north-east point of Öland as well as an area in the centre of the bay holds a depth of 5–6 m.
Grankulla bay is an important spawn place to many fishes and the interchanging of fish with the Baltic and other small bays along the coast means an ever lasting supply of fish. Thanks to the mild climate of Öland you can fish almost all the year round. The best time for pike fishing is autumn, from middle of August, September–November. 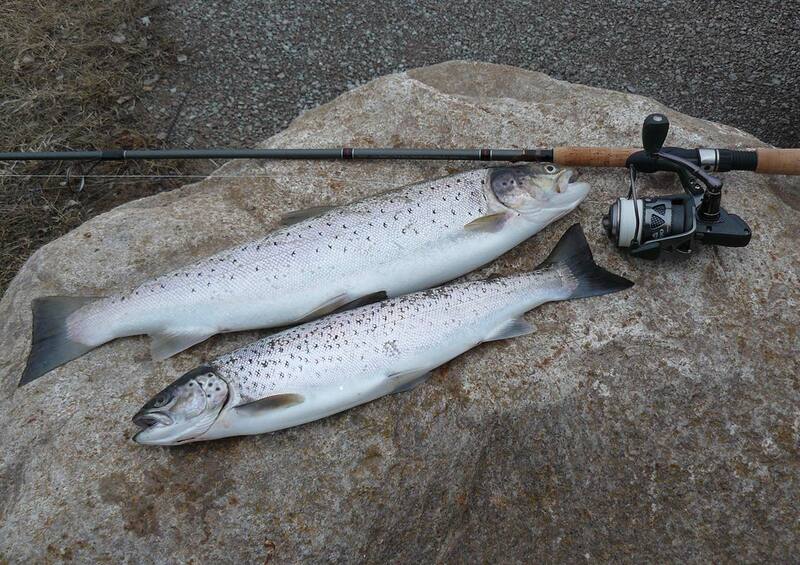 The sea trout is preferably caught in March, April and May and in the late autumn in October, November and December. It´s forbidden to fish pike and peach 1/4 – 31/5. 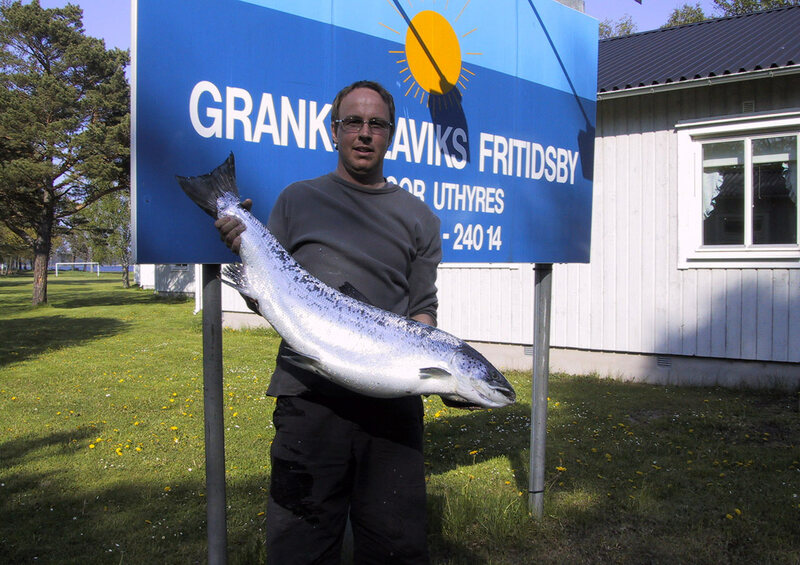 Pike, perch and of course sea trout are the most interesting species and are preferably caught in the Grankulla bay. Sometimes we also have garfish, whitefish and ide as well as now and then the sea trout which comes within spinning distance on the west and east coast of northern Öland. The pike is most often caught with a spinning rod but also with a fly rod when standing at the most shallow places. Wobblers in yellow/green colours, spoons made of copper and jigs in blue or yellow/green colours are usually the best baits. The perch is caught using small jigs and spinners or with worms or small fry on the hook. Spinning or flyfishing from the beach, or wading up to your knees or waist, is the most commmon if you want to catch sea trout. Preferably you should use a 10 ft spinnning rod with a 0.25–0.30 mm line. Suitable baits are different types of coastal wobblers and long, thin spoons for coastal fishing. 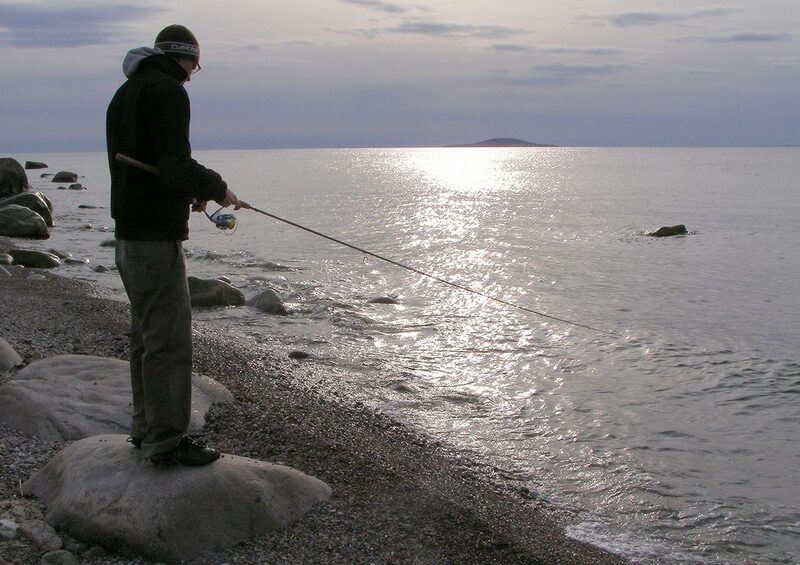 Fishing with fishing rods is free in the Grankulla bay as well as along the coast of Öland. During the period 1 April - 31 May it is forbidden to fish for pike in Gotland's coastal waters, Kalmarsund and the coastal waters around Öland. 20 motor boats, size between 3.8 and 4.5 m with engines between 3 and 6.5 hp, are available to rent. Anchors, oars, life jackets and 10 l petrol are included in the rent. Maps are delivered together with the navigation charts. Grankullavik Holiday Village, 24 chalets with sea view, is right on the shore of the Grankulla bay. Self-catering and cleaning. Cleaning of the cabin before you leave can be ordered via the reception. Sheet is not included in the price. We have a small grocery shop with angling department, a service building with washing machines and tumble driers, assembly room, sauna and oven to smoke fish. Bicycles and fishing tackle can be rented. Playground for children. Visiting anglers get thorough information about navigation chart and engines before you start fishing and are adviced where the best fishing is at the moment. 16 chalets of 43 m2, 4 beds in each, living room with pantry and 2 bedrooms, one with bunk beds, WC and shower. 8 semi-detached chalets of 53 m2, 6 beds in each, living room, kitchen with microwave oven, fridge and freezer, 1 bedroom with 2 bunk beds, 1 bedroom with 2 single beds, WC and shower. Tennis, picking berries and mushrooms, cross country walk through the nature reserve ”Trollskogen”, organized walks looking at orchids, nature and culture activities, golf (10 km away) and of course sunbathing and swimming. Contact us for information and booking inquiry.